At the same time, believers sometimes assume that HaShem’s Torah applies only to Jews and not to Gentile disciples at all. Nothing could be further from the truth. Despite the fact that the apostles “loosed” the Gentiles from these sign commandments, for the most part they are bound to the rest of the Torah’s mitzvot. It should be emphasized that Gentiles in Messiah have a status in the people of God and a responsibility to the Torah that far exceeds that of the God-fearer of the ancient synagogue and that of the modern-day Noachide (Son of Noah). Through Yeshua, believing Gentiles have been grafted in to the people of God and become members of the commonwealth of Israel. While membership has its privileges, it also has its obligations. That’s how I started my previous review of Toby’s article eighteen months ago. I mentioned on Friday that I would be “re-reviewing” Toby’s write-up on non-Jewish obligation to the Torah. This is also something of a consequence of my review of Boaz Michael’s “Moses in Matthew” seminar (I didn’t attend the 2011 event, but I did listen to an audio recording on CD). Boaz very aptly presented the Bible, specifically the Gospel of Matthew, as a densely packed document that contains far more information than what a surface reading of the text would suggest. Seems like a pretty anemic list. I won’t go into the whole process of James and the Apostolic Council issuing the halakhic ruling regarding the admission of Gentiles in to the Jewish movement of “the Way.” I already covered that in some detail in my six-part series Return to Jerusalem. I do want to communicate why I think studying the Torah is as vital to Christians as it is to Jewish people. This is probably one of the most deeply misunderstood sentences in the entire Bible, especially by those in the Hebrew/Jewish Roots movement. Even I used to believe that this single string of words provided not only permission but the commandment for Gentile believers to learn and observe the Torah of Moses in a manner identical to the Jewish people (nevermind that even observant Jews don’t always agree with each other about how to observe the mitzvot). Actually, the sentence doesn’t directly say that Gentiles must attend synagogue and learn Torah but it’s heavily implied. Here’s Toby’s explanation for this. Actually, those Gentiles we call “God-fearers” were already attending the synagogue and were indeed learning Torah. We see an example of such a synagogue of born-Jews, righteous converts, and God-fearing Gentiles in Pisidian Antioch as recorded by Luke in Acts 13:16-52. 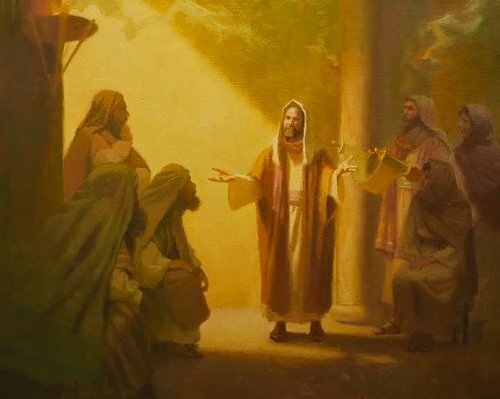 However, as the Messianic gospel message continued to reverberate outward from Jerusalem and into the furthest corners of the diaspora, an increasing number of pagan Gentiles would hear the message and turn to the Messiah. 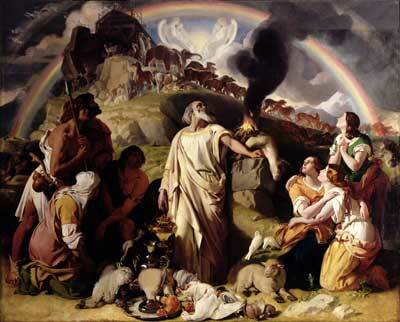 These pagans, like the men and women we read about in Acts 14:8-18, would have no knowledge of Torah, Judaism, or ethical monotheism, and the message of the good news that makes so much sense to modern Christians (though most get only a truncated version) would likely be completely misunderstood without a basic knowledge of the teachings of Torah to provide context. New Gentile believers, having just recently been worshiping in pagan temples, would not only miss the meaning of the lessons of Jesus, but they would have no idea how to lead a Holy life or why they should even do so. As far as the Four Prohibitions are concerned, many have suggested that these are just starting points for new Gentile believers, designed to facilitate “table fellowship” with Jews until the Gentiles learned the full extent of the mitzvot and how to become completely observant. Except that describes a Gentile on the fast track to converting to Judaism, not a God-fearer or (recently) former pagan transitioning into becoming a Gentile disciple of the Jewish Messiah. Every moving thing that is alive shall be food for you; I give all to you, as I gave the green plant. Only you shall not eat flesh with its life, that is, its blood. Surely I will require your lifeblood; from every beast I will require it. And from every man, from every man’s brother I will require the life of man. The website AskNoah.org is dedicated to providing information and services to modern “Noahides” who worship alongside observant Jews in Orthodox synagogues. In January of 2012, I was caught off guard by the article and started wondering if some change in philosophy had come over FFOZ. Boaz graciously commented on my original review to say that nothing had changed in their intent. Toby’s article simply continues the process of fleshing out and defining the apostolic position regarding Gentiles and Torah. The only new material here involves the logical application of Acts 15 which is where we have been pointing people all along. Toby already presented some of this material in HaYesod. A lot of this was just starting to gel after I attended FFOZ’s 2012 Shavuot Conference in Hudson, Wisconsin and it’s been steadily percolating within me for the past fifteen months or so. I realize that just as Boaz said his ministry has progressively been “fleshing out and defining the apostolic position regarding Gentiles and Torah,” this type of steady progression is what I’ve been going through as well, within my thoughts, spiritual development, and self-study. I’m not writing this to re-review the actual content of Toby’s article, but rather how I am receiving its meaning, comparing the person I was a year-and-a-half ago to who I am now. As I said nearly two weeks ago, I’m Not Who I Was. Hopefully, none of us are. Hopefully, we are all striving to move forward, to learn, to experience, to draw nearer to God by the study of His Word. Bible scholarship is always moving forward. Like any other type of academic endeavour, research and investigation never stops. Theologians, linguists, historians, archaeologists, and other professionals in their fields continually produce new insights into our understanding of God’s Word and how it is to be applied in our lives. As believers, we have a responsibility to also continue to study, to learn, to strive for a more refined understanding of the available information as guided by the Holy Spirit. Luke only gives us a summary of the Acts of the Apostles, so while the Bible may be sufficient, that doesn’t mean it’s exquisitely complete. We can’t simply read Acts 15 once and say we understand it. We can’t read our favorite interpretation of the meaning of Acts 15 a month ago, a year ago, or a decade ago, and say we are sticking with that understanding, ignoring newer information that might modify our comprehension in important ways. The original text is unchanging, but how we read and understand it isn’t. 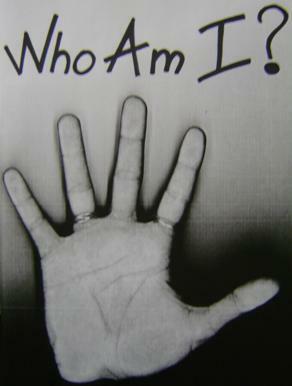 Who are we in Christ? What was the original intent and impact of the letter sent out to the believing Gentiles by James and the Council of the Apostles? How does that affect our lives as Christians today? What is a Gentile believer’s obligation to Torah? What does “Torah” even mean in our modern lives? I can’t definitively answer all of those questions for you, but if you start by downloading and reading Toby’s article and continuing to unpack and unfold the text and your understanding of it, I’m hoping and praying you’ll find out. I pray we all discover who we really are in the pages of God’s Word and then live out the lives God intends for us. How, in your opinion should a Gentile fulfill Numb.15:37? as it stands now according to your theology, he cannot wear a Tzitzit, and he is mocked for tying tzitiot to his belt loops…What is your solution? Should a Gentile who wants to keep Torah just disregard this commandment? You could probably get the answer by buying and downloading Messiah Journal #109 and then reading Toby’s article. However, when Toby defines a Gentiles obligation to Torah, he’s not saying that the obligation is identical to Jewish obligation. A lot of bloggers in the Messianic space have commented on the specific sign commandments that are intended to specifically identify Jewish people. My understanding is that wearing tzitzit is one of those commandments. I believe Derek Leman wrote in a recent blog post about how a great deal of “long, habitual, careful study’ in order to understand its intent, purpose, and application across different populations. Israelites, and their modern day descendants, Jewish people, are commanded to wear tzitzit. I also know that James, the Council of Apostles, and the Holy Spirit “loosened” the grafted in Gentiles in the famous Acts 15 ruling, so we non-Jews are not obligated to the Torah in the same manner as the Jewish people. We could debate this all day long, but I think we both know where the other one stands, Dan. Do you intend to rehash this old argument once again? Me? Aren’t you the one who posted this? Me? I posted my second review of a magazine article written by an FFOZ author and teacher. You chose to comment, Dan. I suppose since I am Jewish, that the argument of what a gentile should or should not do isn’t so much my business, although it was to the first century Yeshua movement. My take is that you partake of what you understand to be the Holy One’s will in your life, to the extent of the light you have. Don’t feel obligated to listen to those who pontificate from on high; this is a personal relationship between you and your divine bridegroom. What does he want YOU specifically to do, in what manner, and with what mindset? Remember, the root word of mitzvah is tzavah, which means, “to connect.” The mitzvot don’t simply exist unto themselves; they are a means of connection, such as a gift you might give or receive from your beloved. Your wife asks you to help wash the dishes. This entails more than getting the dishes done’ she is asking if you care enough about her to help her with things that need to be done that are important to her. I suspect the word picture for, “tzavah,” is, “an open window (that lets in light for revelation and air for inspiration – Bill Bullock, allows us to see the one with the nail of the hunter,” and the mem at the beginning just makes this something that is flowing like water. Pardon, chaya, but “tzaveh”, the root in “mitzvah”, means to command, not to connect. It does have some variant idiomatic uses meaning to bequeath or to appoint, but these uses also fall under the general idea of something being ordered to be done. The initial “mem” of “mitzvah” means that it is something derived from a command. Now, if you wish to use the imagery of flowing water to represent something coming from or derived from a source, I won’t argue. But I will certainly argue your references to connection and to open windows. Let me also take this posting opportunity to add a more general note to everyone: For non-Jews to be “loosed” from Torah observance, they are merely not obligated or required to perform its mitzvot (except for the four prohibitions and whatever derives from them). They are not thus prohibited (!) from any particular voluntary performance that they might learn by following the recommendation implied in Acts 15:21. Has everybody got that? They are not required and they are not prohibited. The only constraint upon them with respect to the mitzvot that are given as Jewish distinctives would be the respect they should have for helping Jews to maintain distinctive Jewish identity (i.e., another mitzvah). So, for example, making the Shabbat is one of those mitzvot that is given particularly to Israel, but “b’nei-nechar” foreigners are commended for keeping it in Is.56. Clearly, HaShem is not invoking any principle that those who are not required to do something are therefore forbidden to do so. It may be halakhically prohibited to rely on their performance when counting if the minimum required number of performers (i.e., a minyan in any given location) has been met, but their performance in addition to that number is not itself prohibited. What might be most challenging would be to find distinctive methods for non-Jews to keep desired mitzvot that differ sufficiently from the normative halakhic performance that Jewish performers remain visibly distinct. I suppose since I am Jewish, that the argument of what a gentile should or should not do isn’t so much my business, although it was to the first century Yeshua movement. As a side note, I’ve discovered a subreddit called changemyview where a redditor can post a statement about some belief they hold and challenge other redditors to change their view on that topic. On person in that subreddit posted a commentary about why it’s difficult for people to change their minds, even when they consider themselves really open minded. I think it’s one reason why we tend to rehash a lot of the same debates in the religious blogosphere. I’m not always a fan of reddit but occasionally, they come up with an interesting gem. Common, James, without me you will be totally lost…LOL! The only constraint upon them with respect to the mitzvot that are given as Jewish distinctives would be the respect they should have for helping Jews to maintain distinctive Jewish identity (i.e., another mitzvah). Which hopefully is becoming increasingly apparent. The mitzvot relative to Jewish distinctiveness should be relatively few in number when compared to the overall opportunities for non-Jewish believers to voluntarily observe the commandments. What might be most challenging would be to find distinctive methods for non-Jews to keep desired mitzvot that differ sufficiently from the normative halakhic performance that Jewish performers remain visibly distinct. My impression is that the various individuals and organizations that are Messianic Jewish are struggling with this very issue to differing degrees. It’s one of the areas that is not well defined as yet. @James — Upon further consideration of the halakhic concern to recognize who are the Jewish performers of mitzvot who may be counted in a minyan for all relevant purposes, it occurs to me that if non-Jews were to self-identify in a synagogue environment by operating within a prescribed area indicated by a mechitzah, similarly to the mechitzah that cordons off a women’s area, both of which are reflections of the courtyards in the ancient Temple precinct, then it would not matter if their performance appeared identical to that of the obligated Jewish men. Guardianship would be effected by physical boundaries. Outside of such physically delineated areas, I’m not sure what distinctives might be appropriate. 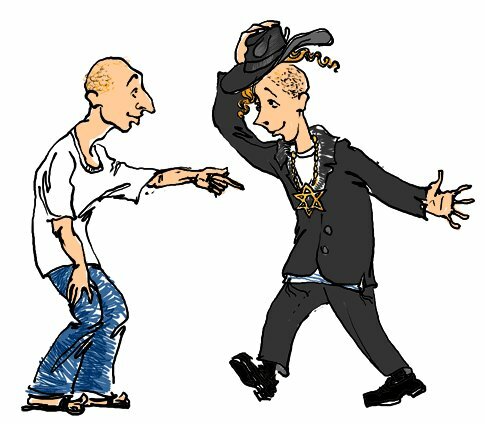 Maybe voluntary mitzvah-observant non-Jews could self-identify by wearing a distinctive type of kippah? I hesitate to suggest this sort of thing, because it seems too reminiscent of special discriminatory clothing or insignia Jews were required to wear in Christian environments of various eras, and also in Muslim environments. Humans have a too-consistent track record of mistreating distinctive groups, especially when they are easily recognizable, and thus liberal western society has developed something of a “knee-jerk” reactionary sensitivity against discrimination of all sorts, lest it deteriorate into denial of human rights and respect. Judaism generally avoids this danger by emphasizing the honor that is due to each human being at the same time it accords special responsibilities to certain roles such as the Cohen, the Levi, Jews in general as distinct from non-Jews, men as distinct from women, married as distinct from unmarried, enshrining these responsibilities in commonly taught halakhot so that everyone in the community knows what is acceptable and no one should feel disenfranchised. But I guess this issue still requires further consideration. James, that was an interesting link, discussing why we believe what we do and why we are willing or unwilling to change our views, or to admit we may be wrong. James 3:15-18 discusses this, as well as much of Proverbs that talks about listening to advice and accepting wise counsel and rebuke. I can say that I have made changes in my thinking over the years, but these changes were preceded by unlinking myself emotionally and relationally from sources that stroked that way of thinking and discouraged other views. We also give too much credence to our rationality, which is flawed and fallen. Pirkei Avot: Who is wise, he who learns from all men. ProclaimLiberty, I get my info about Hebrew word pictures and how they illuminate the text from Dr. Jeff Benner and Dr. Frank Seekins, among others. I stand by the view that the mitzvot, mishpatim and chukot, have purpose beyond what is immediately apparent. If you take your son outside to play ball, you aren’t just helping him gain sporting skills; you are building a relationship with him. So, I view the instructions from my heavenly betrothed as bridal instructions from my beloved prior to the wedding, rather than a set of rules and regulations a king or other authority might hand down to keep the population in line and out of trouble. Are you required to follow all the instructions, lovingly written with you in mind, by your beloved? Well, why wouldn’t you want to? Pardon again, chaya, but with all due respect to Drs. Benner & Seekins and their imaginative approach to pictographic origins for semitic words, their view cannot override thousands of years of practical and meaningful linguistic usage by HaShem and the people He chose to demonstrate His redemption. Since I am a Hebrew speaker living in Israel among other Hebrew speakers, I believe I can offer a respectable and even somewhat authoritative opinion about what a word means and what it does not. As for seeking out the depths of implication within the Torah, mitzvot, hukim and mishpatim, this is what Talmud Torah is all about. Also well understood is the human tendency to learn things best by doing them. Admittedly, my experience in authentic Messianic Jewish synagogues is severely limited, but I’ve never heard of any that maintain a separate mechitzah for Gentile participants. As a Gentile who has been in different (non-Messianic) synagogues over the years, while I was required to wear a kippah, I wasn’t given one that designated me as a Gentile. I don’t know that it would be such a good idea for the reasons you’ve already stated. When praying in our local reform/conservative shul (which was many years ago), I would “self-edit out” the portions of the prayers that involved referring to myself as “Jewish” or “Israel,” but other than that, I would still be following the service with everyone else. One main difference is that I typically wasn’t offered an Aliyah (the Rabbi amazingly offered me the opportunity once, but I declined). I think offering non-Jewish participants an Aliyah in a Messianic Jewish synagogue is one of the matters up for debate. My opinion is that Messianic Judaism has a long way to go before settling these matters and I suspect that there’ll be different streams within MJ that will represent different practices relative to non-Jewish participants/members. James, from what I understand, Reform synagogues do not discriminate against the intermarried, or their non-Jewish spouses, hence, your invitation to do an aliyah. A lot of these arguments about the role of Jews and non-Jews in a congregation, appear to be more of a man-pleasing and territory protecting situation than anything else. The concept of a minyan and a mechitza are not in scripture, and the temple is no longer standing, as well the curtain of the Holy of Holies has been torn asunder. The kippa is tradition, and a polemical one at that. I wouldn’t attend any, “authentic Messianic synagogues,” where the leaders felt the need to pontificate and argue over this narishkeit. It would just be more evidence that they are eating from the tree of knowledge of good and evil, rather than the tree of life, and that is all they can offer you. PL, I’ll keep your Hebrew expertise in mind next time I have a question. For example, I was wondering why the plural of av is avot, which is a feminine ending for a word that defines men. I don’t believe the Hebrew word pictures determine the meaning of a word, but offer additional insight, as other textual hints offer. Perhaps you view the Talmud as authoritative, which I do not, but I don’t toss it in the ash heap either. My understanding is that the kippa is only mentioned in a line or two in Talmud and I believe Maimonides mentions it also. The practice became widespread in 17th century Eastern Europe as a polemic against Christians who believed in having their head uncovered. And you’ve probably heard this one: When does a fetus become viable according to Judaism? Answer: When the fetus has graduated medical school. 🙂 Also a tradition of (Jewish) men. @Chaya — the medical school graduation does have a lot to commend it when you consider “viability”. [:)] Some trace the kippah back to a Babylonian custom, possibly as late as the Talmudic era, and consider it originally a local development. But the “authority” of Jewish literature is a multi-tiered concept. Some things are more authoritative than others, and it is the responsibility of the Torah authorities in a given generation to determine halakhah for the Jewish people under their authority, even as Rav Yeshua recognized the authority of the scribes and Pharisees in his era (viz: Matt.5:1-3a). The more general application of the kippah has been relayed onward to us as a further development and application of Torah principles, under the auspices and authority that originated in this week’s parashat Shoftim in which we learn that authorities were to be established to administer the Torah in Moshe’s place. The Torah was placed into human hands and hearts to administer and interpret. We see this stated explicitly in Deut.30:10-14, where it is emphasized that the Torah is not in heaven that someone should need to bring it down to us. That task has already been accomplished by HaShem Himself when He gave it to Moshe Rabbeinu, who committed it into the hands of Joshua and the elders of the Levitical priesthood. Pirkei Avot includes a summary of its subsequent transmission across the generations. We should be very careful about throwing around the phrase “traditions of men” in a negative light and too generally. One of the problems of human authority is that it can be abused, and humans can make mistakes. But humans can also learn and repent and correct mistakes. Nonetheless, both the good and the not-so-good are “traditions of men”, and we must not throw out the baby with the used bathwater. The question about exceptional plural gender forms in Hebrew is often as hard to answer definitively as is the similar question about the origin of particular exceptions in the English language. Sometimes it might be explained by a need to avoid phonetic confusion with other Hebrew words, such as “avi-im” (covetousness) or “evvim” (reeds), or “‘avim” (with an “ayin” — thicknesses). In other cases it may be a matter of historical development, because there are words whose plurals have at some times been the masculine form and at other times the feminine form. In some cases there are interactions with other languages, Aramaic in particular. Torah refers to the Ten Statements as “‘Aseret ha-D’varim”, but later and current tradition identifies them as “‘Aseret ha-Dibrot”. I realize it can be confusing, but as with English one must become familiar with the Hebrew plural exceptions and adapt to them, without insisting on an overly literal adherence to the general connection between the appearance of a plural and its actual gender. As in many areas of life, things are not always as they appear. PL, thank you so much for your explanation. I went back and looked up the Hebrew, and in every place, “Aseret ha-D’varim,” is used, yet people say, “Aseret ha-Dibrot.” I suppose someone has an answer as to why this is done. I don’t believe that man made traditions are necessarily bad, just that we need to be aware that they are man made. I brush my teeth every morning; that is a tradition, and my dentist believes, according to her halacha, that I should do a much better job flossing. 🙂 When I was growing up, we had chicken for dinner every Friday night. Some people might consider it akin to blasphemy to order (kosher) pizza for Shabbat dinner. (before Shabbat) I have an Orthodox relative, and, she told me that she was very sick with the flu, but she was dragging herself out of bed to make Shabbat dinner for the family. She lives on the opposite coast, or I might have seen what I could do to help. I was pretty incredulous as to why she couldn’t 1) order out 2)let them fend for themselves 3) let them starve. “‘Aseret ha-Dibrot” is used in Talmud, hence I suspect Aramaic influence at work in the apparent gender shift. It also shifts the emphasis of meaning slightly away from the idea of merely ten “things” or “words” and toward the more authoritative implications of “sayings” or “principles” or “foundational lemmas” in the philosophical sense. One of the problems I have is that those who bandy about the term “traditions of men” in a negative manner seem to expect Yeshua HaMashiach to exist outside the stream of Judaism. In the Gospels, we very much see him existing well within the stream of Judaism. While he was critical of some of the practices of the Pharisees, we must remember that such criticisms weren’t an anomoly within the normative streams of Judaism of that day, anymore than they are rare or unanticipated in the modern Judaisms. Christianity sees “the cross” as the hard line in the sand that Torah and Judaism (as opposed to Jewish people) cannot cross but grace and “liberty” can. Unfortunately, that attitude seems to be a hold over from the church’s history of supersessionism and any Christians who are willing to take a fresh look at “the Jewishness of Jesus” will, by necessity, have to deconstruct such attitudes and doctrines and then reconstruct them taking the stream of Judaism from ancient to modern times into account. I think Messianic Judaism as a modern expression of Jewish faith in Moshiach will become more understandable in that light. PL, is the alteration in meaning via changing the gender of the plural related to the, “tav,” being the sign of the covenant? I know you don’t think highly of word pictures. I meant ordering food or picking it up prior to Shabbat, and it seems clear that the idea of a, “shabbos goy,” violates torah. Her kid was around 10 or so, not old enough to prepare an elegant meal, but able to make sandwiches. I don’t believe her behavior had any spiritual significance; some people are just used to doing things a certain way and rarely make changes. I assume she was past the acute phase, but still felt awful, and I felt that if she could barely drag herself out of bed, she should probably remain there. I had a sudden flu situation myself. I was exercising at the YMCA, and thought perhaps I was exercising too hard or was just dehydrated. I sat down on the floor in the ladies’ locker room, and asked someone to get me a coke. When that didn’t help, the manager came in and agreed to try to get a hold of my husband, who had several meetings in different places scheduled for the day in a different county, and that was prior to cell phones. She had to go to the admin offices to get permission to use their phones, as all the other Y phones blocked long distance calls. As I was getting worse, they called for an ambulance, and then the manager of the gym child care (where they had my one-year-old) came in and told me that because they weren’t licensed for daycare, they couldn’t keep the baby if I left the premises, not even until my husband arrived. Here I was, almost passed out, and worried they were going to call the police to take my kid away. As the ambulance was pulling away, thankfully, my husband, who drove at top speed, arrived at the Y to pick up my son and follow us to the hospital, about two miles away. He was expecting to come pick us up to take us home as I wasn’t feeling well enough to drive, and was surprised to see me in the ambulance. As soon as they bring me in on the stretcher, the nurse barks to the ER doctor, exasperatedly, “another flu case.” So, I guess this was going around. The ambulance ride was $400, and the insurance only paid about $100.